The Cruise On brings you revolutionary walking comfort in a slip-on shoe. Built into our Cushion Outsole is our new S-Motion Technology®, which supports the natural walking motion from heel strike to toe push-off. Elastic gore on the sides helps give this shoe a snug and comfortable fit. Heel Height: 1.625". This item features a removable footbed. Genuine leather is stretched on a unique to SAS last made to follow the shape of the foot for a natural and relaxed fit. SAS EZ Gore™ system is built to hold the foot securely in place with no biting across the top of the foot whether stationary or in motion. Fit should give enough room across the ball of the foot and plenty of room so the toes don’t get pinched. Removable SAS Contoured Everbounce™ Foot Bed: This removable foot bed is made of molded polyurethane and designed to fit and support the contours of your foot. 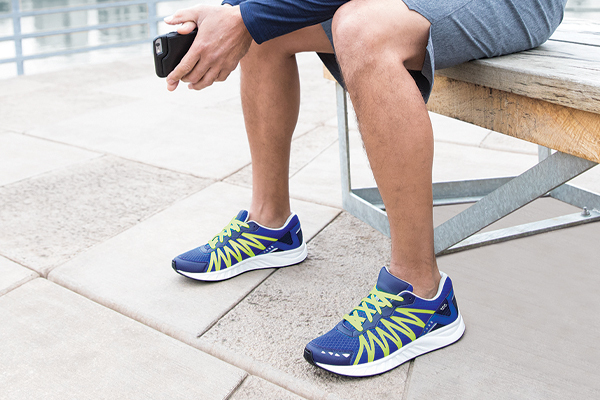 SAS S-Motion Technology®: Built into our sole, our S-Motion Technology® supports the natural three-part walking motion, starting first at the cushion heel strike, across the mid-stance (arch) and through the inside ball forward to the final toe push-off.